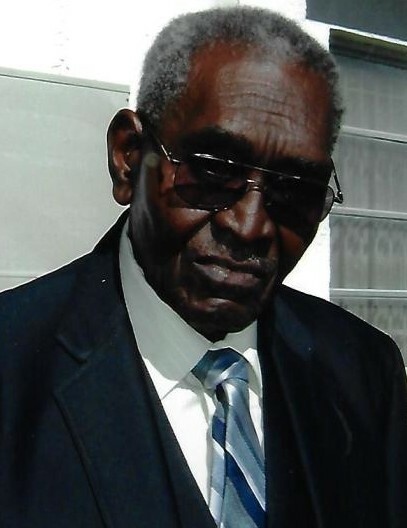 Oscar Brown, Jr., was born on July 8, 1938 to the late Oscar Brown, Sr. and Willie Mae Alexander in Jacksonville, Florida. Educated in the public schools of Duval County, Florida and later moved to Ocala. Oscar was employed by Gates Service Station and the City of Ocala Public Works Division. In addition to his parents Oscar was preceded in death by his wife, Alice Brown and all of his siblings. Oscar loved fishing and playing checkers. He leaves to cherish his memories two daughters, Angela Howard and Carolyn (Edward) Farmer both of Ocala; two sons, Victor Brown of Ocala and Marcus (Stephanie) Brown of Jacksonville; 10 grandchildren, Ryan, Lamar, Lisa, Shbrea, Alexis, Devondre, Chanita, Cortinna (Walter) Moore, Carrie and Christina; a host of great grand children, nieces, nephews, other relatives and friends. Public Viewing will be on Friday, November 16, 2018 from 2:00 PM til 6:00 PM. at Summers Funeral Home, 2238 NW 10th St. Ocala, Florida. Final Interment will follow at Watula Memorial Garden, Ocala, FL.